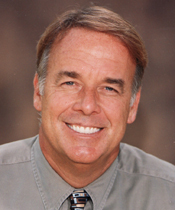 Laser Gum Contouring in Santa Barbara w/ Dr. Mark T. Weiser — Dentist in Santa Barbara, CA | Dr. Mark T. Weiser D.D.S. Advances in laser techniques have led to many advances with lasers in dentistry. Dr. Weiser is privileged to be part of the pioneering team bringing lasers to dentistry. Dr. Weiser uses lasers in his dentistry for many purposes such as cosmetic services, cold sore treatment, periodontal treatment and diagnostics. For a smile to be its most beautiful, teeth must line up evenly along the gum line, with just the right amount of gum showing. Perfecting, recontouring and evening can all be done quickly with the precision of a laser. A laser can be used to effectively treat early and moderate periodontal or gum diseases. The laser can selectively remove diseased tissues while leaving healthy tissue untouched! The laser also can sterilize the gum pockets and remove scaling in order to promote healing. Lasers can be used to treat cold sores of the mouth and lips. Our patients are often pleased to find that, after treatment, cold sores do not reappear in the treated spot. This treatment offers immediate pain relief and can make the cold sore disappear more quickly than ever before. One of the most innovative uses of the laser is in the detection of cavities. These lasers are called Diagnodent lasers and are very accurate in diagnosing unseen cavities that may be hiding in your teeth.